You might be able to drive a golf ball 300 yards, but can you navigate the colorful, yet challenging terrain at the Ball Fore Miniature Golf Course in Chicago Ridge? 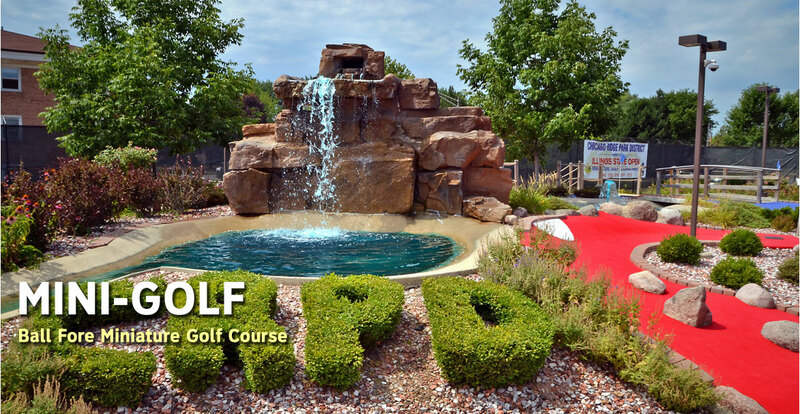 This course hosted the U.S. ProMiniGolf Association’s U.S. Open Championship that attracted top international miniature golf players in 2009 and 2012. To have a chance of a hole-in-one on hole #7, players work against their natural intuition by hitting into the water which takes the ball near the hole. See a quick video about Ball Fore Miniature Golf Course here.